Hedge funds are looking for competitive advantages in long-term investments. You want to understand large-scale market trends and investment opportunities in different segments of the global economy in order to buy and hold value investments that will out perform the market over the long haul. So why would Big History, the story of the universe, provide an edge for investors? Big History is about as macro as you can get. Big History is the scientific account of the 13.8-billion-year history of the universe, the 4.5-billion-year evolution of our planet, the 200,000-year rise of our species, and the 10,000-year accelerating drama of human civilization, all told as an integrated narrative (Berry and Swimme 1992, Grassie 1994, Spier 1996, Chaisson 2001, Christian 2004, Chaisson 2006, Spier 2011). Big History is essential if you want to truly understand how the world came to be the way it is and why people are the way they are. If you want to understand energy, technology, food, population growth, politics, religion, and other global challenges, you need to understand Big History. By its very nature, Big History undermines ethnic chauvinism, extreme nationalism, and religious fundamentalism. All of the major problems in the world today look different from the perspective of Big History and the solutions to those problems are a whole lot clearer. This is why I am so passionate about Big History and hope to persuade you to be as well. Do you think that the future will be better than the present? Specifically, do you think that children born today will, on average, have better lives—less violence, less pollution, less disease, more wealth, more health, more opportunities? In any investment team, you want to have a mixture of optimists and pessimists, a mix of bulls and bears, so the wisdom of the crowd doesn’t turn into the folly of groupthink (Surowiecki 2005). In the business of trying to out perform the market, both hope and fear are swindlers. I confess that I am terrible at predicting the future. I grew up in the late 1960s. The chaos of 1968 and the death of my father in 1969 gave me a rather dark view of the world as an adolescent, even though I am otherwise more the bon vivant. Exposed to the literature of the early environmental movement, I grew up with apocalyptic visions of ecological collapse, global famines, and nuclear holocaust. Out of college, I worked on the Nuclear Weapons Freeze Campaign and spent a year in West Berlin working with an organization that taught young Germans about the Holocaust before sending them abroad to do service work in countries victimized by the Nazis. Dark visions, indeed! I sometimes call myself a “hopeful pessimist,” which means that I am happy to have been proven wrong in the ensuing decades. And while I have few regrets, indeed I have been incredibly fortunate, my career might have been very different if I had been a “rational optimist” instead of merely a “hopeful pessimist” (Ridley 2010). One of the many things we learn from studying Big History is how incredibly lucky we all are to live at this moment in the natural history of our planet and the cultural evolution of our species. Pharaoh and Caesar would trade places with any of us to have the same opportunities for health and wealth, travel and education, entertainment and food. It helps to have this larger perspective on our lives to weather the daily onslaught of bad news, as well as the ups and downs of the stock market. It puts our immediate worries in perspective. Still, past performance is no guarantee of future success, as they say in this industry. This is true for each of us individually, for your managed funds, and for our global civilization. Humanity faces some grave challenges that we are ill-equipped to deal with, but understanding Big History can significantly shift the odds in our favor. In brief, our omnicentric universe began infinitesimally small some 13.8 billion years ago as something like infinite heat, infinite density, and total symmetry. This universe expanded, cooled, and evolved into more differentiated and complex structures—forces, quarks, hydrogen, helium, galaxies, stars, heavier elements, complex chemistry, and planetary systems. Some 3.5 billion years ago, in a small second- or third-generation solar system, the intricate processes called “life” began on at least one small planet circling a diminutive star. Animate matter-energy on Earth presented itself as a marvelous new intensification of the creative dynamic at work in the universe. Then some 7 million years ago, proto-humans emerged on the savanna of Africa. About 80,000 years ago, a small band of Homo sapiens wandered out of Africa. And with their tools, their fire mastery, their language, and their collective learning, our common ancestors spread across the planet. We are the only large mammals to inhabit so many diverse bioregions. Ten thousand years ago, agriculture began, and with it growing populations of humans living in ever larger and more complex societies. The fossil fuel revolution began about 200 years ago and with it amazing growth in wealth and productivity. This unfolding leads us all the way to today, 7.3 billion of us collectively transforming the planet and ourselves. The wonder of it all is that each of us is also a collection of transient atoms, recycled stardust become conscious beings, engaged in this global conversation brought to you by ephemeral electrons and photons cascading through the Internet and bouncing off of satellites. That is Big History, in about 250 words and with a little poetic license. I’d love to take you through a day-long seminar with an ensemble of experts or even a semester long course on Big History. While there are numerous books, websites, and documentaries that explore Big History, there are few opportunities to formally study Big History in our schools and universities. That was until Bill Gates got involved. The recent cover story in the New York Times Magazine by Andrew Ross Sorkin (2014/09/07) tells of how Gates came to team up with David Christian and others to create a free online Big History curriculum for high school students. The evolving Big History Project website now serves 1500 classrooms around the world. The pedagogical arguments for this approach are compelling. You should demand that this course be taught in your children’s schools and their universities, but that is another conversation. 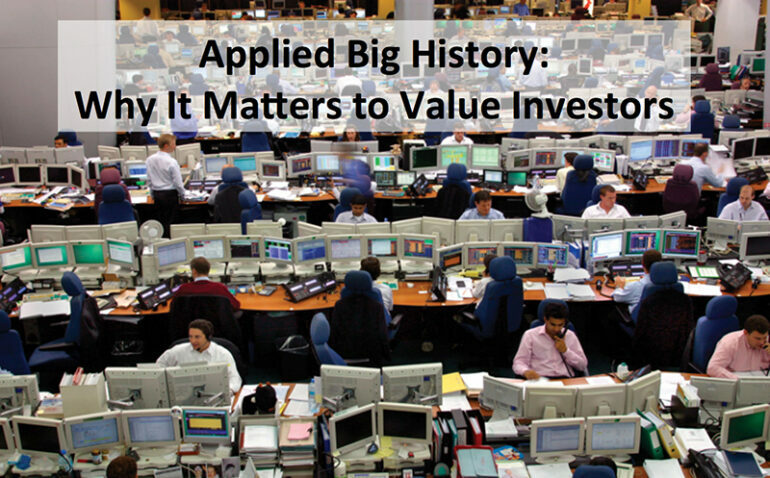 The question here is: How can insights from Big History be applied to the challenges of value investment? I will begin with 1) evolutionary models of economic systems and then look at 2) the properties of all complex adaptive systems. I will then turn to 3) the Second Law of Thermodynamics, central to understanding natural and economic complexity. I will briefly touch on 4) behavioral economics and the new evolutionary understanding of human nature, before 5) ending with some counterintuitive and contrarian takes on contemporary challenges and opportunities in different market segments. To summarize 2.5 million years of economic history in brief: for a very, very, very long time not much happened; then all of a sudden, all hell broke loose . The miracle of economics is that 7.3 billion people today participate in a $90 trillion global economy. No one oversees it. No one designed it. No one can control it. Like evolution, economic complexity emerges from the bottom up. How has this marvelous self-organized system evolved? What are the origins of wealth and how can individuals, businesses, and societies create more of it? Complexity economics adopts the model of natural selection from biological evolution to understand and model “economic selection.” Darwin’s theory is based on a three-step algorithm: inheritable variations > selection > reproduction. Darwin, of course, did not understand genetics, but he could observe inherited variation among offspring. He could see inherited resemblances and differences in his own children and everyone else’s. He could see the same in the breeding of fancy pigeons, dogs, ornamental plants, and food crops. Referenced by Darwin is the Rev. Thomas Robert Malthus, a Scottish economist who argued in his 1798 book, An Essay on the Principle of Population, that the pattern of exponential growth in human population due to high birthrates would quickly outpace agricultural production, leading to a collapse due to famine, disease, and warfare (Malthus 1798). Happily, Malthus’ dark prognostications were mostly wrong in the ensuing centuries. Since he published his book, the world population has grown sevenfold—from roughly 1 billion people to now more than 7 billion. Malthus, however, is essential to understanding natural selection, and we need to ask whether and how to include his insights in complexity economics. If the aphids on your houseplants were to reproduce unconstrained for a year, “the world would not hold them.” It might take the mice, a few decades to inherit the surface of the Earth. It might take the elephants a few centuries, but “the world would not hold them.” Every species has the potential to grow exponentially, as humans along with our domesticated plants and animals have done over the last century. Few economists think much of poor Malthus today—the dismal science of economics has now become a cheerful science of growth—but how have humans cheated the logic of Malthus and Darwin? And how can we continue to do so? The r/K theory in ecology tracks the tradeoffs species make in having many offspring with reduced parental investment or fewer offspring with a corresponding increase in parental investment. Mouse reproduction follows an r-selection strategy, with many offspring in a litter, short gestation, less parental care, and a short time until sexual maturity. Whales, elephants, and humans follow a K-selection strategy, with few offspring, long gestation, long parental care, and a long period until sexual maturity. Humans, of course, are on a K-selection extreme—more so than ever in the contemporary world. In the past two generations, we’ve gone from fertility rates of 5-plus children per woman to 2.5 children per woman. There are many factors that account for this stunning drop in fertility rates, including an economic response to the increased costs of parental investment required by the migration from rural and agricultural societies to urban and capitalist societies . In many instances, childhood dependency in humans now requires parental investment all the way through graduate school. The evolutionary algorithm is complete when we posit a feedback loop by which “positive” variations will tend to be passed on as “adaptations” through the selection process. In other words, those traits that enhance survival and reproduction of the offspring will statistically tend to naturally accumulate in future generations, thus the “improvement” of the lineage in its specific niche. Run the algorithm on repeat over hundreds of millions of years through hundreds of millions of species on a restless planet —variation, selection, reproduction— and voíla, we have humans today watching Nature channel documentaries on television. Complexity economics posits a similar algorithm on repeat: differentiate > select > amplify. Much like individuals of different species in particular ecosystems, businesses compete (and cooperate) for profit in specific market sectors. Business and markets go through periods of growth, decline, and death (Gogerty 2014). Darwin talked about “the whole economy of nature,” but now economists are talking about the whole nature of economics. Note that natural selection can occur at the level of a single gene, a group of genes, the individual organism, a group of individuals, and even entire ecosystems. Indeed, the environment also regulates gene expression with sometime profound phenotypic and inheritable results (Gilbert and Epel 2009). Like evolution, microeconomics and macroeconomics are mutually constituted through numerous dynamic feedback loops. Like an ecology, the causal vectors in an economic system are bottom-up, top-down, and side-to-side. Economic markets and evolution are both incredibly complicated and always context specific. The rise of our now global civilization is perhaps more about distributed, bottom-up cooperation than it is top-down competition. No other species excels in the use of symbolic languages, through which we are able to communicate and accumulate the knowledge and skills of one generation to the next. We are beneficiaries of long lineages of know-how acquired and passed down by our ancestors over tens of thousands of years. We build upon the achievements of our contemporaries and previous generations (Christian 2004). In humans the Darwinian search algorithm no longer needs to operate solely through our genes. “Collective learning” is why “all hell breaks loose,” to repeat Beinhocker’s short summary of economic history. Because of collective learning, cultural evolution is a win-win over the long arc of human history, even though economic markets, ethnic conflicts, and political disputes frequently involve win-lose tradeoffs. As we will see, collective learning is one of the main engines of economic growth. You and I didn’t invent the wheel or the automobile, the light bulb or the phonograph, the telephone or motion pictures. We didn’t invent Shakespearen plays or the Bhagavad Gita. We didn’t invent agriculture, metallurgy, or arithmetic. The list goes on and on. But here it all is. Our amazing portfolio of knowledge and know-how grows with compounded interest. Let Wikipedia serve as an icon for this vast accomplishment of human civilization. Science is a quintessential example of collective learning, but not the only, because every culture, every domesticated plant and animal, every work of literature and art, every technology, every language (including the language of money), even these words, are the common heritage of humanity. The great challenge of our generation is not simply to add to this common heritage, to make it more and better, but to make sure that it isn’t forgotten or diminished in the geological and climatic bottlenecks that our descendants will surely face. The challenge for investors and entrepreneurs, as it is for every organism, is how to capture a portion of value flow as profit, remembering all the time that money is merely a symbolic language for exchange value and not “the thing in its self.” To understand, this we need to explore some of the fundamentals of complex adaptive systems. Blown up to a scale at which atoms were about the size of peas, a cell would be a sphere roughly half a mile across, and supported by a complex framework of girders called the cytoskeleton. Within it, millions upon millions of objects—some the size of basketballs, others the size of cars—would whiz about like bullets. There wouldn’t be a place you could stand without being pummeled and ripped thousands of times every second from every direction. Even for its full-time occupants the inside of a cell is a hazardous place. Each strand of DNA is on average attacked or damaged once every 8.4 seconds—ten thousand times in a day—by chemicals and other agents that whack into or carelessly slice through it, and each of these wounds must be swiftly stitched up if the cell is not to perish. Cell biology is an example of a complex adaptive system. The cell maintains its identity through “inconceivably frenzied” activity. To do so, it needs to take in matter-energy and excrete waste. It needs to defend itself from predation and harm. The “whole economy” of a single cell involves minimally around 100 million protein molecules of some 20,000 different types of proteins. There are about 50 trillion cells in the mature human body. And though you may experience your self to be unified and coherent, at times even calm and relaxed, the inconceivable frenzy of each cell continues throughout the nights and days of your life. Macroeconomics, stock markets, businesses, ecosystems, brains, immune systems, developmental biology, epigenetics, evolution, human social systems, and the Internet are also examples of complex adaptive systems. Complexity science is an inherently interdisciplinary field of study dealing with self-organizing, emergent systems in which the whole is more than the sum of the parts. Complex adaptive systems are 1) adaptable to new situations, 2) evolvable over time, 3) resilient to disruption through their parallel redundancies, 4) boundless in their expansive replications, and 5) productive of endless novelties. The problem is that complex adaptive systems cannot be optimized, cannot be controlled, cannot be predicted, cannot be booted up quickly, and cannot be understood through linear models of causation (Gleick 1987, Kelly 1994). Complex adaptive systems can be both resilient and fragile. When certain Goldilocks thresholds are crossed, the complex system can suddenly collapse instead of bouncing back. The effect of multiple feedback loops within any complex adaptive system means that small changes in initial conditions can reverberate through the system causing chaotic, unintended, and unforeseen consequences—the proverbial “butterfly effect.” In his best-selling book, Chaos: Making of a New Science, James Gleick refers to this as “the morphology of the amorphous” (Gleick 1987). Without going into the details, we might discuss whether and how these principles would apply to building a winning portfolio, a creative team, or a successful life. The boundaries that identify any complex adaptive system are always a little fuzzy because they are necessarily open systems affected by their environment and the sometimes chaotic internal dynamics of the system itself. The epidermis of your body is one kind of boundary through which you take in food, water, and oxygen, and discharge waste, but your essence is not simply skin deep. Laid out flat on the floor, your skin would cover about 1.5 square meters. If we laid out the cell membranes of the 50 trillion cells in your body flat on the floor, it would cover about 300,000 square meters (about a third of one square kilometer by one conservative estimate). If we include the organelles—mitochondria, lysosomes, Golgi apparati, cell nuclei, and the endoplasmic reticulum—then a human body consists of perhaps 30 square kilometers of membrane structures through which molecules are constantly moving in and out of membranes. It is estimated that 30 to 50 percent of the energy consumed by a cell is used in transferring molecules across these many membranes (Hoffmeyer 2008). The financial services industry, as mediated by the symbolic system of money, is a kind of membrane for moving matter-energy and ingenuity around the world. The financial services and insurance industries contribute about 6.6 percent of U.S. GDP today. Real estate, leasing, and rentals contribute about 13 percent (Economic Analysis 2014). From one perspective, financial services represent friction and inefficiencies in the economy. From the perspective of Big History, however, there is always an associated cost to maintaining or growing complex adaptive systems. Complexity, it turns out, is very expensive in nature and society. All complex adaptive systems require a flow of energy to maintain their identity, to grow, to reproduce, and to evolve. Big History provides critical insights into the relationship between energy and complexity in evolution, and therefore also economics. We must first understand the Second Law of Thermodynamics, which is essential to all of these systems—from a single cell to the planet as a whole, from a single industry to our global economy. Note: Energy comes in many different flavors, including heat, electrical, chemical, nuclear, and kinetic, so comparing energy potentials and flows can be quite confusing (Smil 2007). Energy always goes from more useful forms (low entropy) to less useful forms (high entropy). The amount of disorder (entropy) in any isolated system increases with time (i.e., cannot decrease). Heat energy always flows spontaneously from hot to cold. It is impossible for an engine (or an organism or an economy) to convert energy into an equivalent amount of work. Complex adaptive systems are fundamentally disequilibrious (i.e., equilibrium equals death). As the universe expands, it gets cooler, more disordered, and entropy increases. Within small pockets of the universe, however, complexity increases, driven by the entropy of stars. The Earth is such a place, a jewel of a planet in an enormous universe where the temperatures are not too hot and not too cold, where the radiation is not too strong and not too weak. In such places, complex chemistry can occur and—following the bottom-up possibilities of such chemistry—give rise to life and evolution and consciousness. Without the sun fueling our small pocket of complexity, the experiment of life on Earth would have ended long ago. All complex phenomena in the universe can be characterized by some kind of energy gradient. And it takes a lot of energy to maintain the complexity of life on our planet. Harvard astronomer Eric Chaisson has done some rough calculations of just how much energy is required to maintain the complex adaptive systems on Earth. The critical calculation is comparative “energy density flows” of different complex adaptive systems, which he measures as “ergs per second per gram” denoted by the symbol Φm. The measurement is thus a mass-normalized energy flow over time, signifying the free energy available in a system to do the thermodynamic work of building structures and creating complexity. What we learn is quite counterintuitive and not widely understood. Chaisson’s rough estimate of the average energy density flow of the entire Milky Way galaxy is 0.5 Φm and of our sun is 2.0 Φm. The atmosphere and oceans of the Earth have an energy density flow of 75 Φm. A photosynthesizing plant has an energy density flow of 900 Φm. A mammalian body has an energy density flow of 20,000 Φm. The human brain, which is about 2 percent of our body weight but uses about 20 percent of our body’s food energy, has an average energy density flow of 150,000 Φm. If we include the energy that humans now harness outside of our bodies, then humans today average about 500,000 Φm. And the privileged few of us who fly around the world, the energy rich, achieve energy density flows millions of times that of the sun. Chaisson has also calculated a similar exponential growth in energy density flow in the evolution of engines and computers. Remember that there are three ways to increase energy density flow: 1) you can increase the available energy, 2) you can decrease the time scale, and 3) you can decrease the mass of the system. With too little energy (e.g., starvation) the system will collapse. Too much energy flow and the system will also crash and burn. Each complex adaptive system has a range of optimal energy flows or Goldilocks conditions. Energy density flow is the real currency of evolution and economics—a fact of life poorly reflected in the price of energy today, but critical from the perspective of Big History. The prime directive of evolution might be expressed in the aphorism “Minimize Entropy, Maximize Creativity.” This doesn’t necessarily occur at the level of an individual or even a species, but seems to be how the larger ecosystem functions as a complex adaptive system in which waste becomes an energy source used by other species large and small in a vast, efficiency-maximizing food chain. Life probably began, and certainly took hold, at thermal vents in the primordial oceans by harnessing chemical and heat energy from the Earth’s core. Life grew exponentially, but was limited by this energy source. By figuring out how to tickle a photon from the sun and turn it into food energy, life could continue to grow and become more complex. Without photosynthesis, life would have stalled and died out long ago; it is the most important innovation in the history of the planet. Everything that follows is parasitic on photosynthesis, including our current fossil fuel economy. The process of photosynthesis converts carbon dioxide and water into carbohydrates (food energy) and oxygen. Thus, photosynthesis progressively removed methane and carbon dioxide from the primordial planet and increased concentrations of oxygen in the atmosphere and oceans. Initially, this had cataclysmic results—the greatest pollution and extinction crisis in natural history. First, with the decline in greenhouse gases, the Earth cooled and the oceans froze into a “Snowball Earth.” Second, because oxygen is chemically reactive, it oxidized the membranes of the anaerobic bacteria that populated the early Earth. Life eventually adapted to these new conditions by creating membranes that could resist oxygen and later harnessing the chemical power of oxygen through respiration, thus greatly increasing the efficiency of the biochemical-energy cycle inside the cell. These, then, are the three stages in the energy evolution of the planet—the Thermal Regime, the Phototropic Regime, and the Aerobic Regime (Niele 2005). 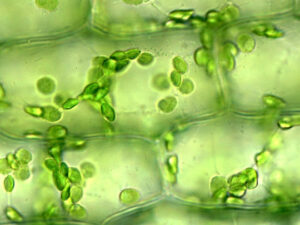 These all began at the scale of single-celled organisms, prior the evolution of complex multi-cellular organisms. The energy economies of evolution are all directly or indirectly dependent on these processes. Frank Niele, Energy: The Engine of Evolution, 2005. The next major revolution in the energy engines of evolution occurred when proto-humans mastered fire. The controlled use of fire improved human diets, as cooking expanded the foods that could be hunted, gathered, eaten, and digested. Fire also protected our ancestors from predators and expanded the range of ecosystems in which humans could flourish. Finally, fire mastery let loose a whole series of co-evolutionary developments, as the hearth provided a new context for social bonding, tool making, planning, symbolic language, and other cognitive enhancements. No other species has learned to control fire. Then we began to domesticate plants and animals about 10,000 years ago. Agriculture led to larger, sedentary communities with surpluses that could support specialized classes of laborers, including ruling elites, standing armies, and priestly castes, which extracted the surplus production through conquest and tribute-taking. About 200 years ago, with the Industrial Revolution and the burning of fossil fuels, the next major energy revolution began (Niele 2005). Note that coal, oil, and gas are also products of photosynthesis that have been accumulated, concentrated, and transformed by geological processes over geological time scales. It is fair to say that pretty much everything that we touch, eat, wear, use, and do in the modern world is directly or indirectly touched by fossil fuels. We can characterize these three stages in the energy evolution of humans as the Pyro-Cultural Regime, the Agro-Cultural Regime, and the Carbo-Cultural Regime. The logic of moving toward a Helio-Cultural Regime is compelling from the perspective of Big History—but, of course, that transition will require huge investments and further innovations in the decades to come (Niele 2005). Let us now return to the question of how our species has cheated the logic of Malthus and Darwin, and how we can continue to do so. We do the same thing that early life did when it “invented” photosynthesis and aerobic respiration. We innovate by applying ingenuity in order to capture more energy-matter flows for the construction of greater complexity. Humans have taken ingenuity to a whole new level. That is how we evolve. That is how we cheat Malthus and how we might continue to do so. If it weren’t for ingenuity and collective learning, the fossil fuels would be useless and there wouldn’t be 7 billion of us on the planet. We would still be living in small bands of hunter-gatherers. The two critical inputs to economic growth are thus energy and ingenuity. The task of value investors is to capture some of that value and, in so doing, also act as allocators of resources in a now global exchange system. Big History is also an occasion to reassess our understanding of human nature, cognition, and behavior, shaped as they were over hundreds of thousands of years during our hunter-gatherer past. Our brains have evolved to be “prediction machines,” so that we can efficiently anticipate events in our environment and respond quickly, critical skills in our hunter-gatherer history. Our brains are not “naturally” suited to the complexities of the contemporary world. 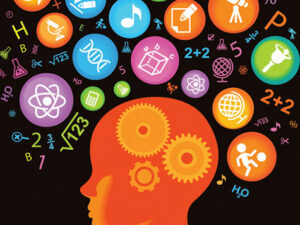 Because the market is an aggregation of human psychology, it is critical that value investors understand “thinking fast” biases and how to compensate by “thinking slow.” If humans are “predictably irrational,” then wise investors know how to leverage that insight in evaluating their own behavior and that of others. (Ariely 2009, Kahneman 2011, Haidt 2012). Here, we need to start a whole new curriculum based on evolutionary psychology and behavioral economics grounded on our understanding of the new natural history of humanity. I will now offer some counterintuitive, sometimes contrarian, perhaps crackpot, investment advice based on my understanding of Big History. These are not listed in any particular order, except that education (i.e., collective learning and ingenuity) and energy (i.e., the Second Law of Thermodynamics) come first for reasons that should be obvious by now. Note that creating value and capturing value are not the same, so merely identifying thematic opportunities is not in itself an adequate investment strategy. Over time, consumers will extract the most value as business profit margins decrease with the diffusion of innovations and increased competition in particular market segments (Gogerty 2014). We all benefit from the collective learning accumulated throughout human history, though the monetization thereof is quite a different matter. 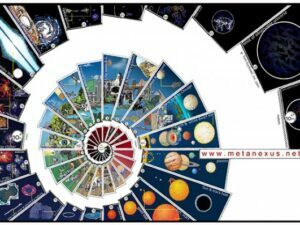 Typically, the sciences and humanities are taught as separate specializations, and history is divided into different time periods and geographic regions. Indeed, humanity has made tremendous progress through specialization and division of labor, but it is essential that we put our exponentially growing knowledge and know-how together in a way that people can grasp (without having to become an expert in everything). Our global civilization desperately needs a shared common reality and a unified map that tells the story of who we are, how we got here, why we are the way we are. Big History is that map. To be a value investor, however, requires more than a journeyman’s understanding of Big History. You need disciplined multi-disciplinarity. You seek to profit through a diversified global portfolio in different market segments in companies that are innovative and well managed. And you need to do this in a world that is being dramatically reshaped by science and technology, globalization and interdependence, cross-cultural encounters and changing balances of economic and political power. That means you need a diverse team of experts that interact, share, and actively debate the decisions at hand—examining the challenges and opportunities from the different perspectives; using multiple models at both micro- and macro- scales; considering the effect of feedback loops and the possibility of unintended consequences; combining analytic, associative, and inductive thought and decision-making processes. Evolution and economics are as much about how we cooperate in groups as they are about competition among groups. If the individuals in a group can become better cooperators, the group will be more competitive. Within a group, be neither an optimist nor a pessimist. Cultivate critical curiosity, an actively open mind, and humble equanimity—that turns out to be as much a spiritual practice as an investment strategy. Remember also, in the words of the economist Nicholas Georgescu-Roegen, that “The true product of the economic process is [not entropy, but] an immaterial flux, the enjoyment of life, whose relation with the entropic transformation of matter-energy is still wrapped in mystery” (Georgescu-Roegen 1971). The product of the economic process, for you and for society, should be life more abundant. The wealth that you win (or lose) will not follow you to the grave. It will not leave the universe. In the end, it is not about you or your firm, but about those who have preceded you and given you this opportunity and those who will continue when you are gone. We are part of a large social organism of humanity and our individual success is dependent on the wellbeing of our global civilization and the planet on which we live. Our descendants have the possibility of an inconceivably long future on this blessed planet. Guaranteeing that future as best we can today is the greatest return on investment that we can possibly imagine. And the best gift we can leave them, to help them meet the challenges they will surely face, is this grand scientific story we have been so fortunate to recently learn—the greatest, truest, and most practical story ever told. Their gift back to us from that Big Future is more meaning and purpose in our lives today. Ariely, D. (2009). Predictably Irrational: The Hidden Forces That Shape Our Decisions. New York, HarperCollins. Beinhocker, E. D. (2006). The Origin of Wealth: Evolution, Complexity, and the Radical Remaking of Economics. Cambridge Harvard Business Press. Berry, T. and B. Swimme (1992). Universe Story, The: From the Primordial Flaring Forth to the Ecozoic Era. San Francisco, CA, Harper. Bryson, B. ( 2005). A Short History of Nearly Everything: Special Illustrated Edition. New York, Broadway Books. Chaisson, E. (2001). 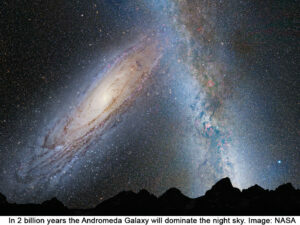 Cosmic Evolution: The Rise of Complexity in Nature. Cambridge, MA, Harvard University Press. Chaisson, E. (2006). Epic of Evolution: Seven Ages of the Cosmos. New York, Columbia University Press. Chaisson, E. (2010). “Energy Rate Density as a Complexity Metric and Evolutionary Driver.” Complexity 16(3): 27-40. Christian, D. (2004). Maps of Time: An Introduction to Big History. Berkeley, University of California Press. Darwin, C. (1859). The Origin of Species, Online. Economic Analysis, B. o. (2014). “Gross Domestic Product by Industry: First Quarter 2014.” Retrieved 10/8/2014, from http://www.bea.gov/newsreleases/industry/gdpindustry/2014/gdpind114.htm. Georgescu-Roegen, N. (1971). The Entropy Law and the Economic Process. Cambridge, MA, Harvard University Press. Gilbert, S. F. and D. Epel (2009). Ecological Developmental Biology: Integrating Epigenetics, Medicine, and Evolution. Sunderland, MA, Sinauer Associates. Gleick, J. (1987). Chaos: Making a New Science. New York, Penguin. Gogerty, N. (2014). The Nature of Value: How to Invest in the Adaptive Economy. New York, Columbia Business School. Grassie, W. J. (1994). Reinventing Nature: Science Narratives as Myths for an Endangered Planet. Philadelphia, Ph.D. Dissertation, Temple University Department of Religion. Haidt, J. (2012). The Righteous Mind: Why Good People are Divided by Politics and Religion. New York, Random House. Hoffmeyer, J. (2008). Biosemiotics: An Examination into the Signs of Life and the Life of Signs. Scranton, University of Scranton Press. Kahneman, D. (2011). Thinking, Fast and Slow. New York, Farrar, Straus and Giroux. Kelly, K. (1994). Out of Control: The New Biology of Machines, Social Systems, and the Economic World. New York, Addison-Wesley. Malthus, T. R.-. (1798). An Essay on the Principle of Population. London, J. Johnson. Niele, F. (2005). Energy: Engine of Evolution. New York, Elsevier. Ridley, M. (2010). The Rational Optimist: How Prosperity Evolves. New York, Harpers. Smil, V. (2007). Energy in Nature and Society. Cambridge, MA, MIT Press. Spier, F. (1996). The Structure of Big History: From the Big Bang Until Today. Amsterdam, Amsterdam University Press. Spier, F. (2011). Big History and the Future of Humanity. New York, Wiley-Blackwell. Surowiecki, J. (2005). The Wisdom of Crowds. New York, Anchor. Wilson, E. O. (2012). The Social Conquest of Earth. New York, NY, Liveright.